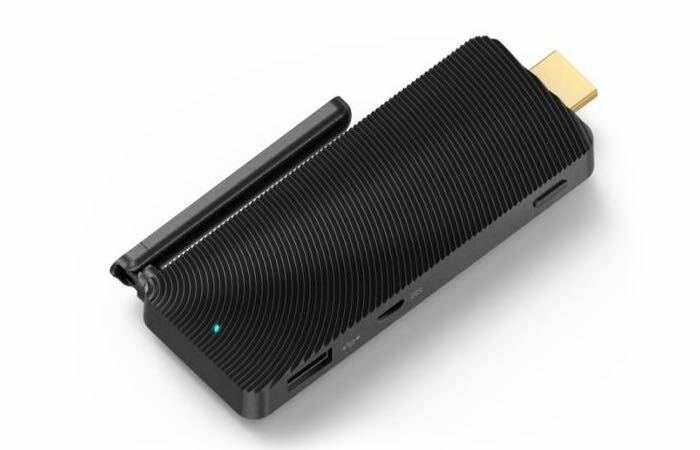 Chinese hardware manufacturer Mele has this week launched a new addition to its range of stick mini PC systems with the launch of the fanless Mele PCG-01 that is now available to purchase for around $139 from the likes of AliEpress. The Mele PCG-01 is powered by an Intel Atom Z3735F Bay Trail processor supported by 2GB of RAM and comes with 32GB of internal storage that can be expanded thanks to the included microSD card slot. Unlike many stick mini PCs available on the market the Mele PCG-01 is equipped with a external, adjustable antenna to help achieve extra connectivity in low signal situations and includes support for 802.11b/g/n WiFi and Bluetooth 4.0 connectivity. The mini PC operating system takes the form of Windows 8.1 with Bing software and the system is cooled using a copper heat sink, combined with a heat-conductive silicone rubber rather than more traditional fans making the system fanless. The Mele PCG-01 offers a viable alternative to the Intel Compute Stick that is priced at around $150 is you are looking for something that is a little quieter. For more information on the new Mele PCG-01 mini PC jump via the links below.